It is always frustrating to meet the video compatibility issue in regard to the camcorders, whose videos are normally encoded in MOD or MTS files. Unlike MPG, a universal video format, these formats frequently fail to work with many mainstream media players, making MOD/MTS to MPG converters so much needed. When you search on the internet, it is easy to get to know the definition of .mts file, which indicates that files that contain the .mts file extension are AVCHD video files. AVCHD is an acronym for Advanced Video Codec High Definition. These MTS files contain high-definition MPEG transport stream videos that have been captured by certain video camcorders. MTS files containing high-definition video streams and can support both the 720p and 1080i HD video formats. On the other hand, MPG (also referred to as MPEG) is the acronym for the Moving Picture Experts Group. 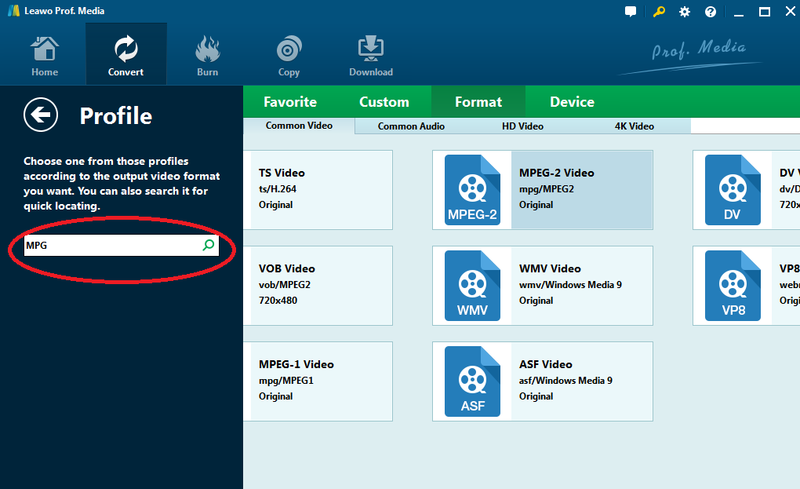 Files with the .mpg extension often contain movies that are distributed over the Internet. 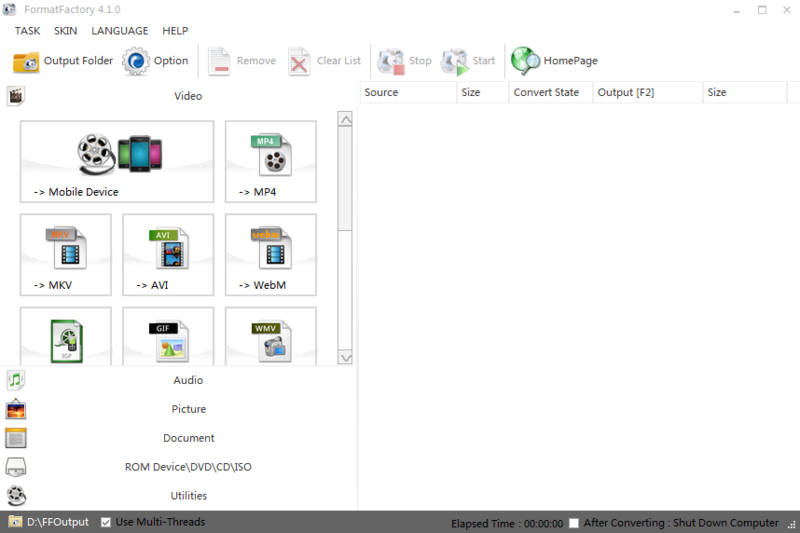 As MPG is much more widely used and compatible with almost all main stream media players and devices, to convert MTS to MPG is the best solution to resolve the issue of playing MTS files on mainstream media players. Leawo Video Converter, ranking top in the industry, has provided professional video conversion services to users together with a variety of formats and powerful editing features. 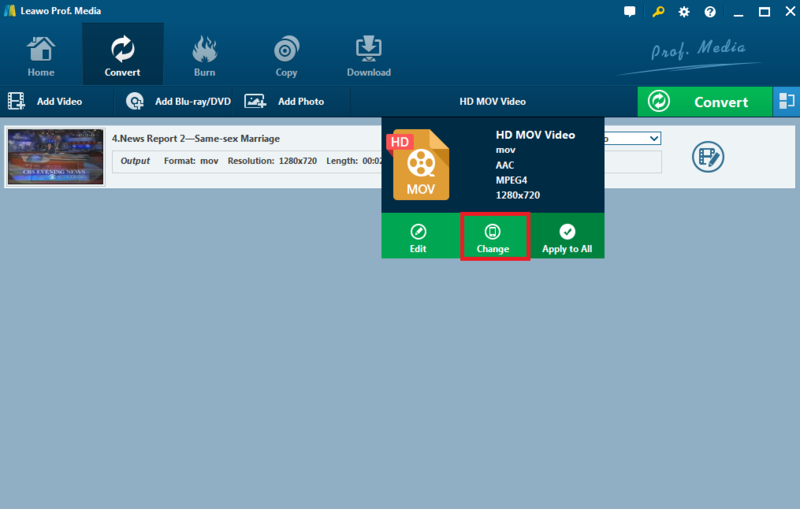 This program is a module of the all-in-one Prof.Media, which includes video converter, downloader, blu-ray burner and ripper etc on one interface. That is to say, users are able to convert, download, and burn videos in the same program without any trouble to switch from one program to another. Here we will show you the specific steps to convert MTS to MPG using this best program. Click the below button to download and install the program to your computer. Step 2: Add source videos to the program. 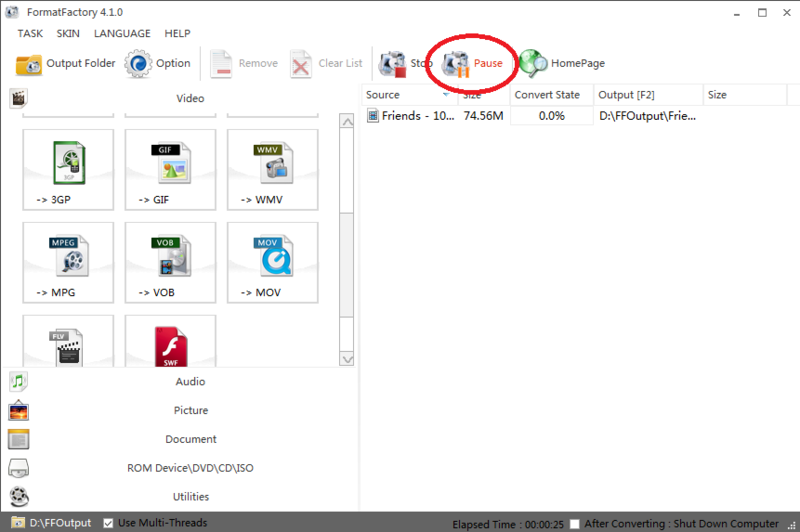 On the “Convert” interface, click “Add Video” to import the source videos to the program. 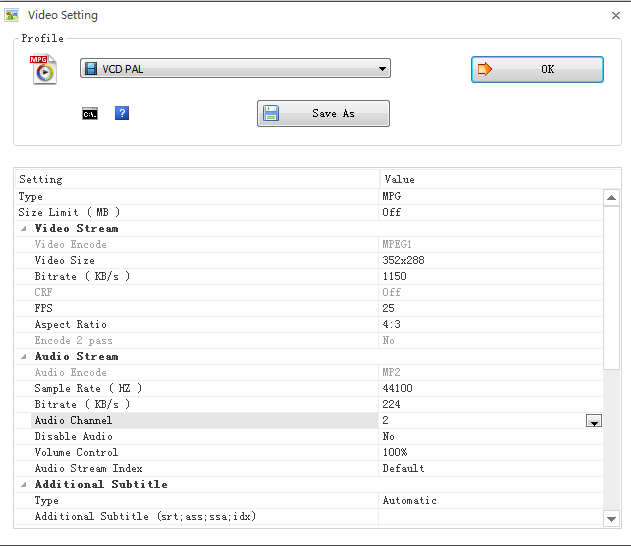 To make it simpler, directly drag and drop the source videos to the program. Click the “Change” button from the menu dropdown list. A “Profile” panel will be displayed accordingly. 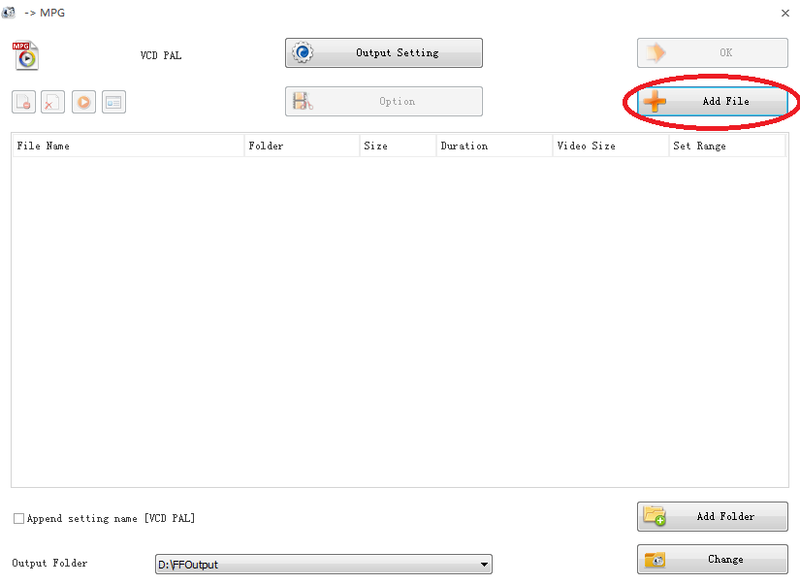 Step 4: Select MPEG-2 as the output format. On the left quick search box, enter the key words “MPG” and set it as the output format. Note MPEG-1 and MPEG-2 are both acceptable as they are part of the MPG family. Step 5: Edit the video before converting MTS to MPG. Click the editing icon next to the video. You will be able to remove any noise from the source videos, add watermark or 3D effect to the video, and trim or crop the video to the desired length. Step 6: Convert MTS to MPG. Click the big green button “Convert” on the upper right and set a directory to save the output file. Then click the round button “Convert” to convert MTS to MPG. The green progress bar will tell the process completion status accordingly. In addition to Leawo Video Converter, FormatFactory, an ad-supported freeware is also a good choice for converting MTS to MPG free. It works pretty well on Microsoft Windows. Below is a tutorial guide on how to convert MTS to MPG using this program. Click to download and install FormatFactory. Step 2: Launch the software and set MPG as the output format. On the left pane, select MPG as the output format. Then you will be directed to the “Add File” page. Step 3: Add videos to the software. Click “Add File” to import your source videos to the software. Set a directory to save the output file at the lower area of the page. Click “Output Setting” to set detailed parameters according to your requirements. Step 5: Convert MTS to MPG. After settings are done, click “OK” to return to the home page, where you can click “Start” to convert MTS to MPG finally. After this process completes, your MPG files are ready for playing or being delivered to other devices. The preceding two solutions are proved effective and efficient for converting MTS to MPG. Here is a chart listing their advantages and disadvantages. To sum up, it is clear that FormatFactory is not so efficient since there is chance to come across ads everywhere as this is an ad-supported freeware. I have tried this program and found that the user interface is not so friendly. Generally speaking, Leawo Video Converter outperforms FormatFactory in terms of reliability, fast speed, and clean and user-friendly interface. It is totally worth the money to get the professional services provided in video conversion as well as burnning video to DVD and downloading videos from YouTube and other 1000+ sites.